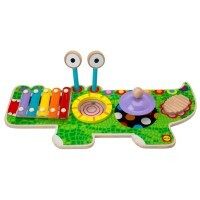 Learn to play a wooden xylophone musical instruments with this kids play set by Melissa & Doug. 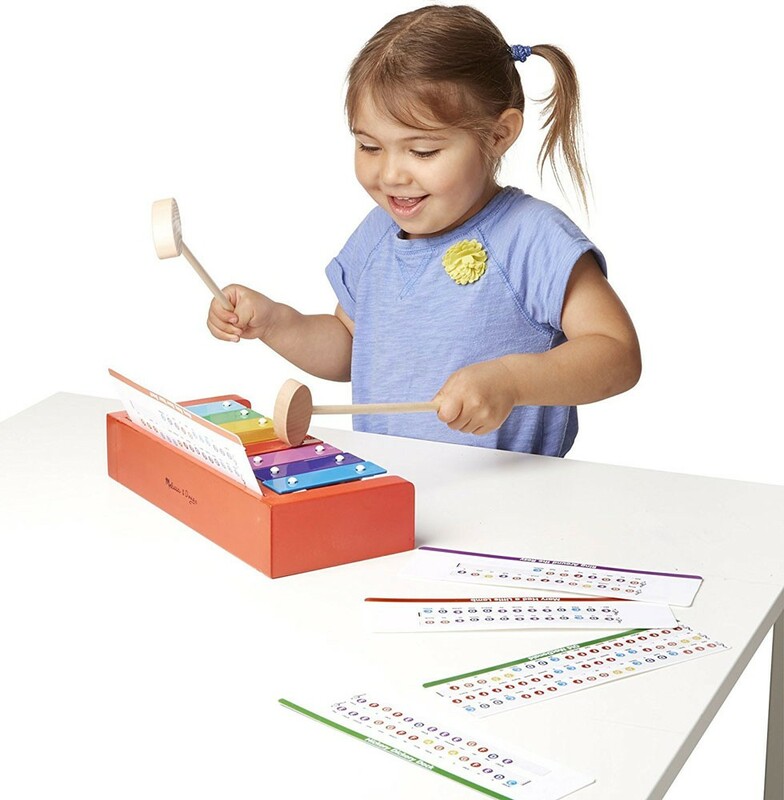 Learn to play on your first xylophone with this new Melissa & Doug's toy musical instrument. 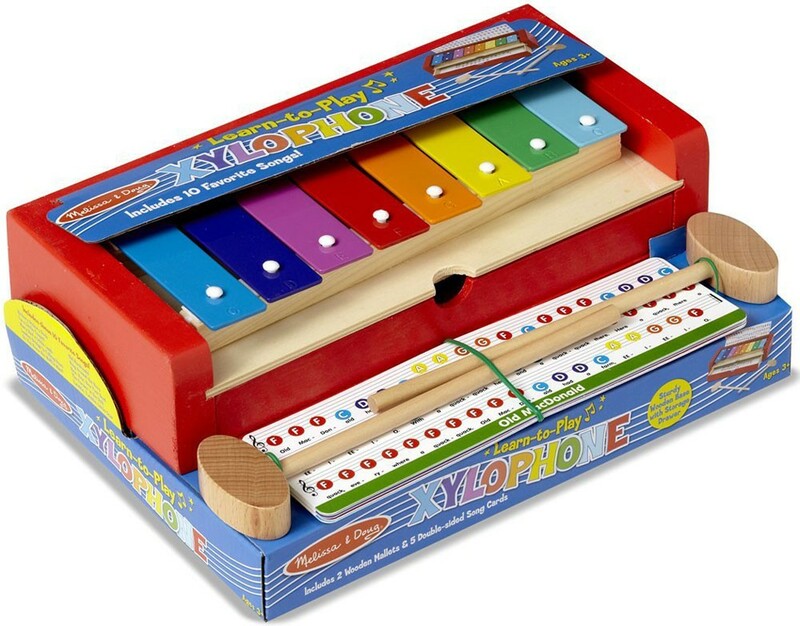 Learn to Play Kids Xylophone includes a high quality toy xylophone, 2 mallets, 12 songs and storage drawer. 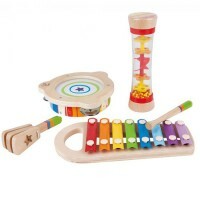 Learn to Play Kids Xylophone lets young musicians to make first steps in their musical education. 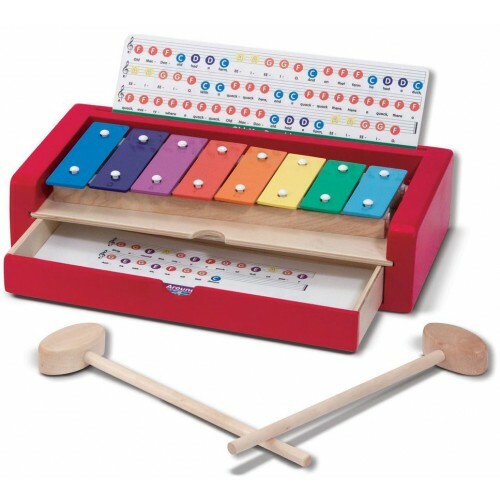 Kids can learn a simple octave, play their first songs using the 6 double-sided song cards that show color coded notations, and enjoy creative music play. 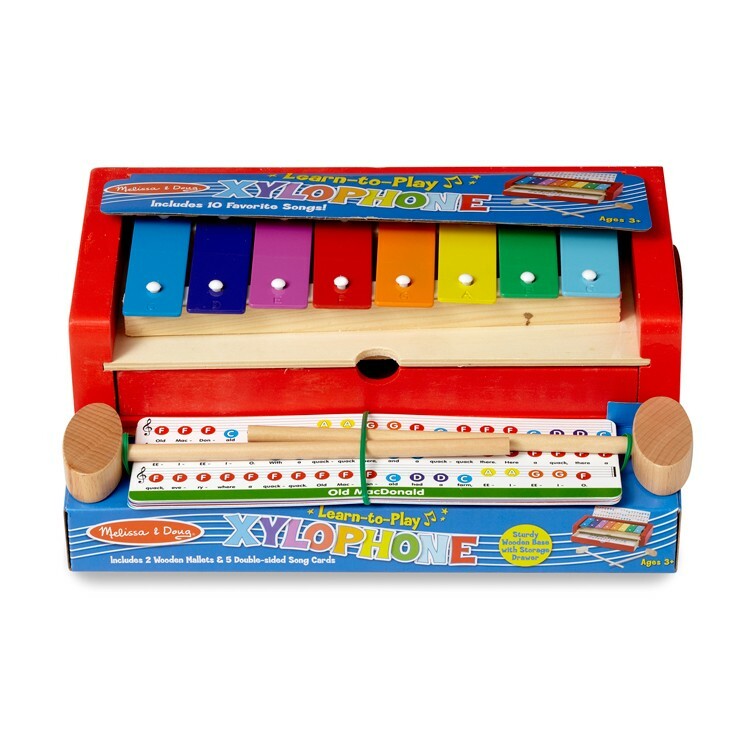 Play your favorite kids songs and enjoy performing for your family and friends with this children toy xylophone musical set. 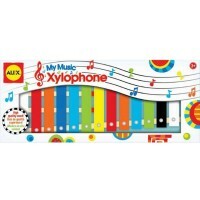 Dimensions of package 8" x 11" x 4"
Write your own review of Learn to Play Kids Xylophone. 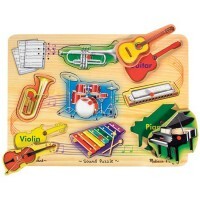 Rating: 4 Fun by Jessica G Musical education has been cut from many schools and the focus is on math, reading and writing. 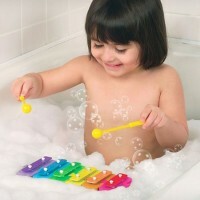 The problem, however, is many children will never be exposed to music if they aren't exposed at school. 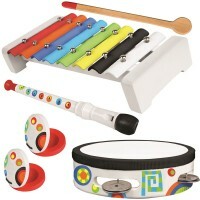 Don't let your child be the one who can't play a note or read music. 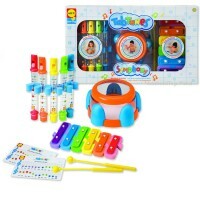 Those skills matter too! 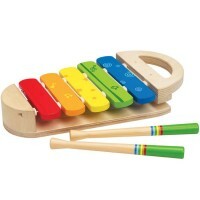 They may never be a famous musician but some basic musical skills will serve your child in life. 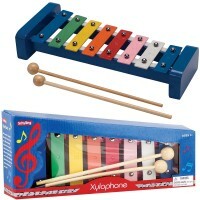 This xylophone is great for that. 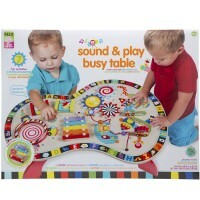 The only small criticism is that the age range is probably a bit off. 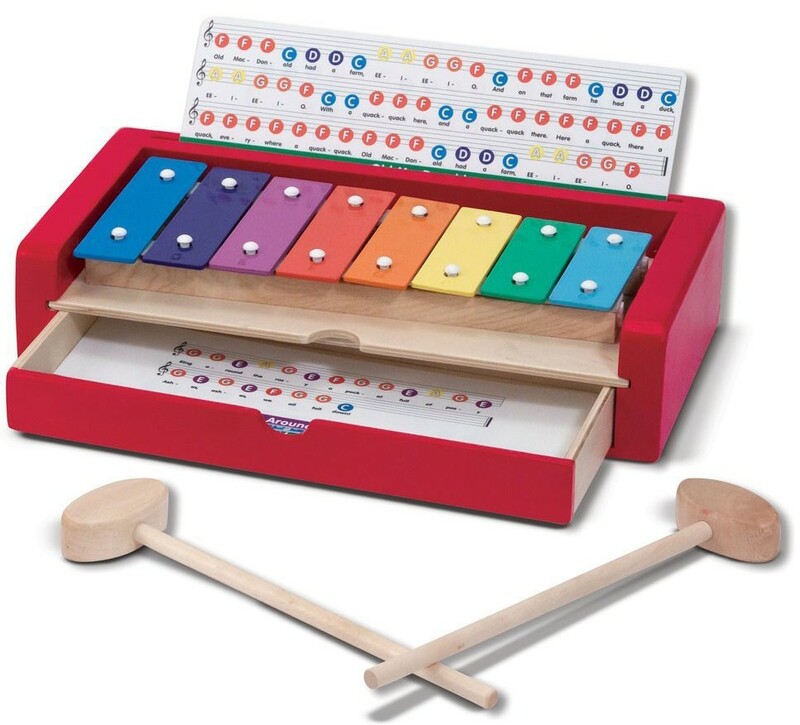 This is probably much too advanced for most 3 or 4 year olds.